We all know what a call log looks like. 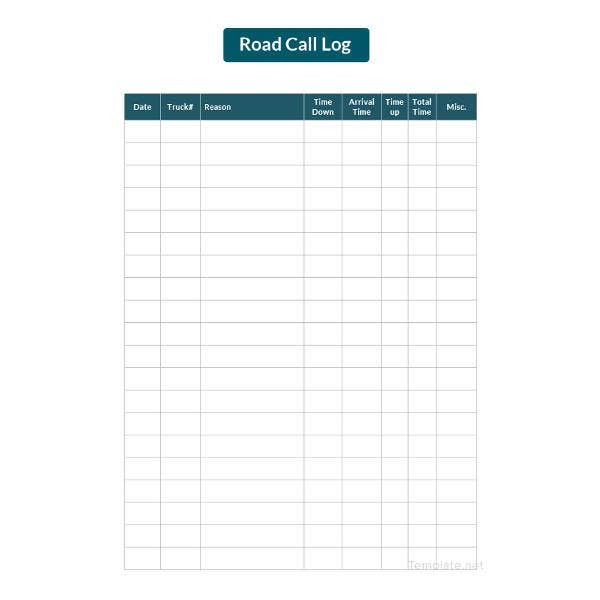 A call log or a call log sheet is an official list of all the calls made and received. It serves as a record and may even be used for future reference. 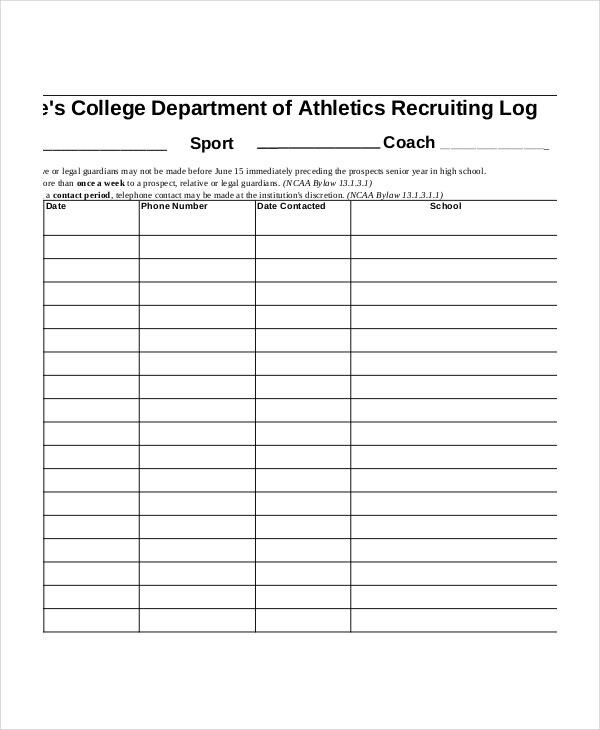 Now call logs and call sheets usually have a fixed format that you must adhere to. That is precisely why you need to take a look at these call log sheet templates found here. These reference sheet templates would certainly make your work easier. 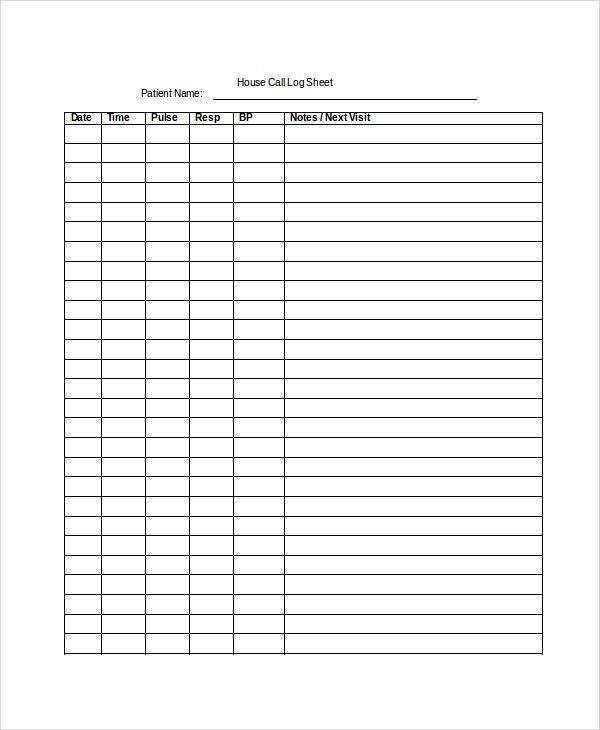 This call log sheet template is more suited for residential houses. 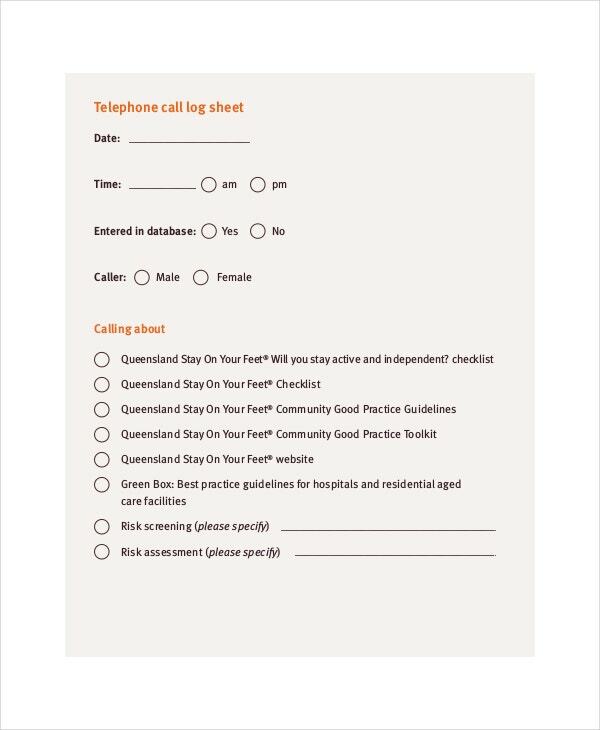 For instance, if you want to keep a tab on the number of calls made from your landline, you can use this template. At any event, you are required to make a large number of calls. For that, there has to be some kind of call sheet that maintains a record. For that, you can use this call sheet template. The best part about this call report template is that it is completely blank barring the pattern. Naturally, you have complete freedom to design and organize the patterns as you please. 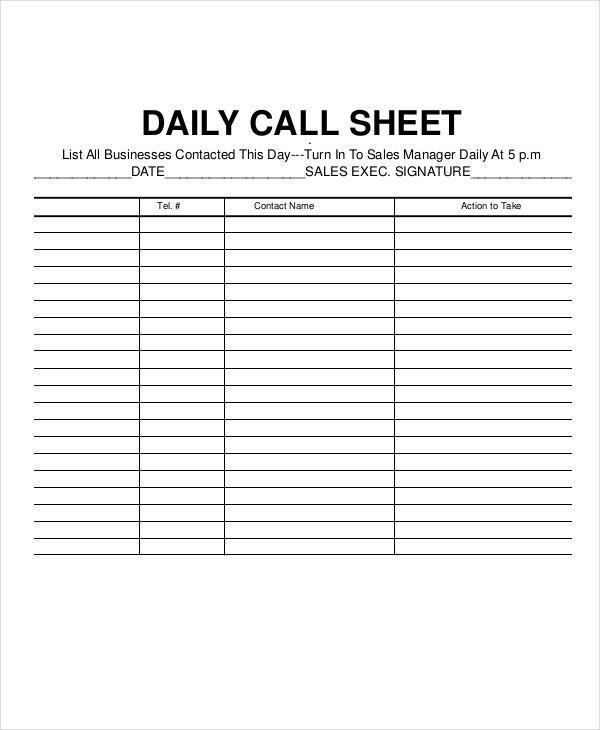 > Why should you use Call Sheet Templates? 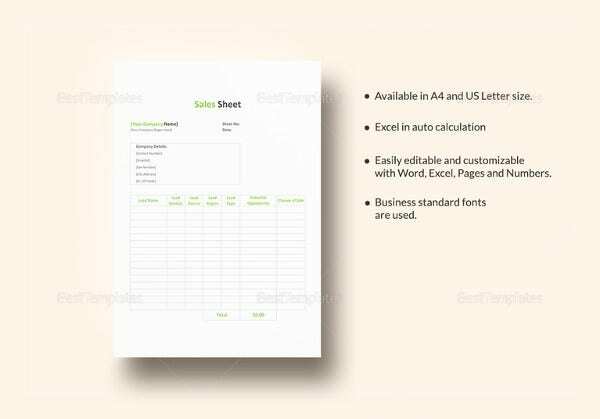 Call sheets may be used for different purposes. For instance, at your place of work, your employer has every right to know about the number of calls made and received. This is all the more poignant if your job revolves around calls and if you have to carry out most of your work through calls. 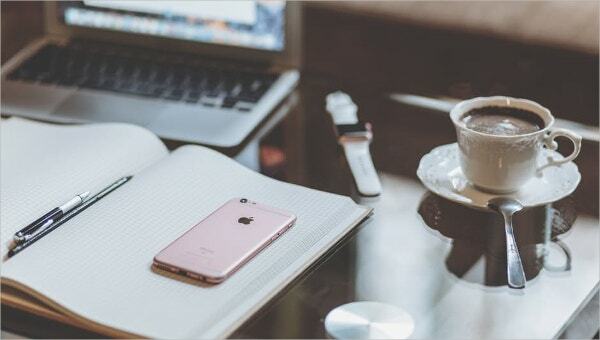 A call log sheet, or a call log, may be updated as and when you want to.You can update the sheet after a day or even weekly. 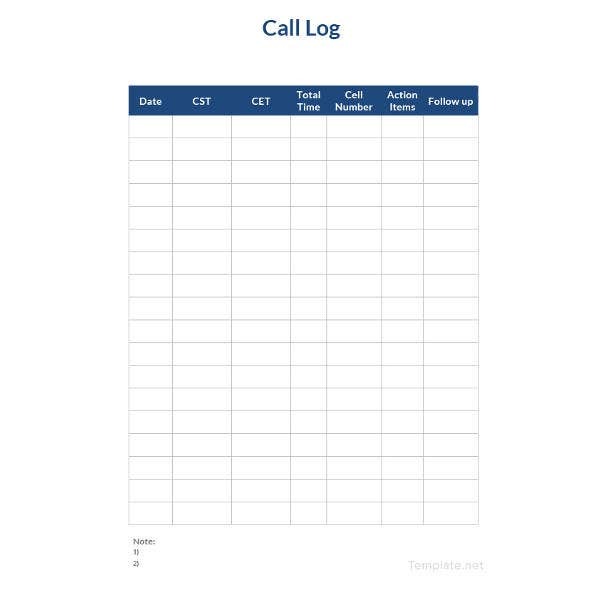 With the call log templates here, you are free to record your call logs any way you want to. 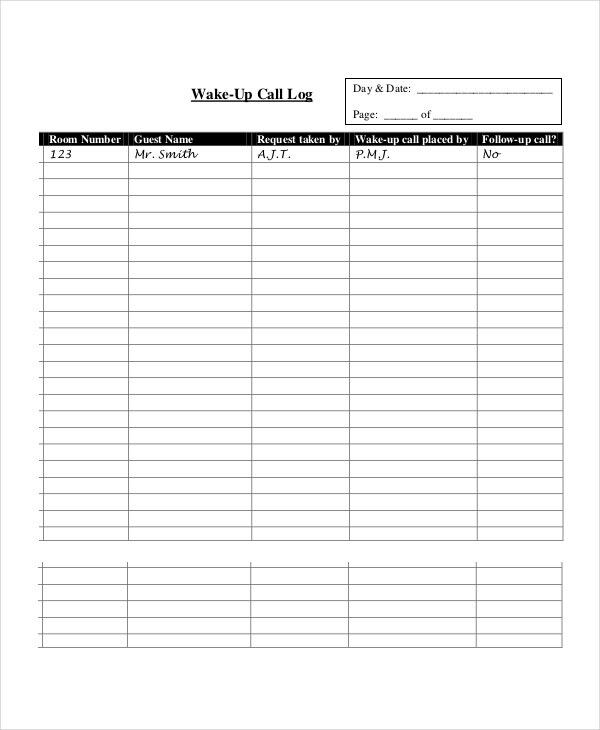 This call log sheet template has been designed specifically for Hospitality. The format has been drawn up accordingly. Also the template here comes in an easy to use format and can be edited. At a hotline, there are a number of calls that are received and made during the course of the day. A record needs to be made of the calls made. 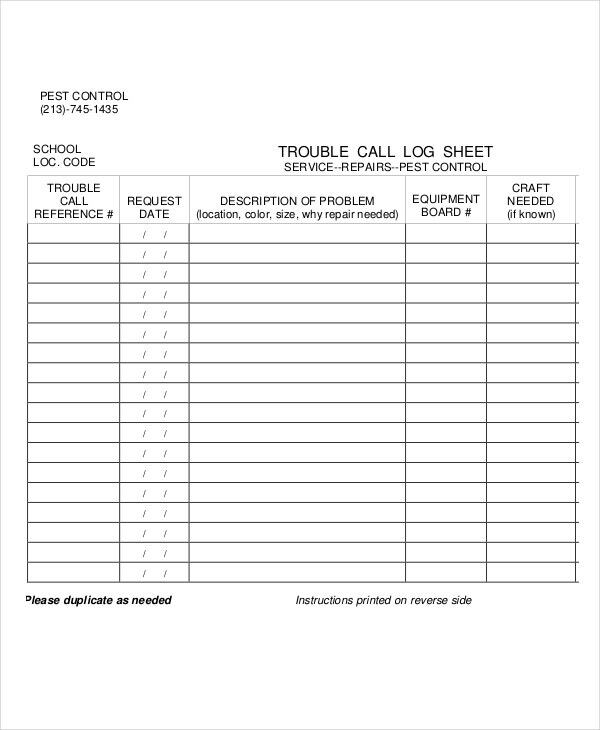 For that, you can use the hotline call log sheet template. Call logs usually have a fixed format. Since these documents may be used for reference in the future, they must be organized in a certain way. Unless you are aware of what the format is, it is better to leave it to the professionals. Also, the call log sheets are easy to update. This is one aspect that you must take into consideration. You are required to update your call logs every time you make a call. These templates here are really easy to use and customise. 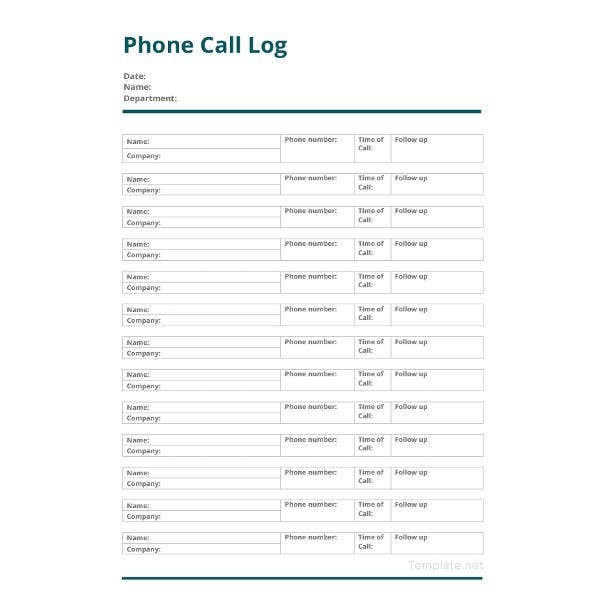 In this section here, you will find a plethora of templates ranging from simple call log templates to contact sheet templates. 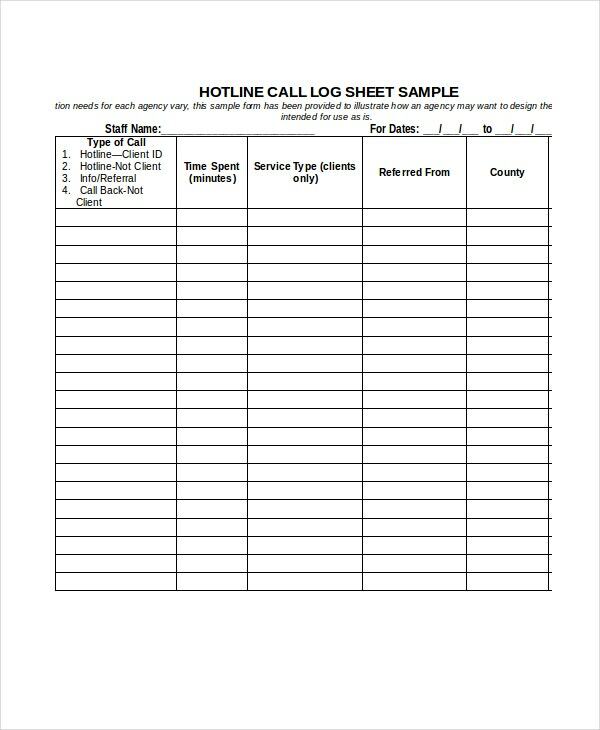 If you need to maintain a list of calls made and received or all your contacts, then these templates found here are your best shot. Plus, these templates are really easy to use.